Velenkosini Hlabisa was speaking during the party's election campaign in Osizweni in Newcastle this weekend. Inkatha Freedom Party (IFP) KwaZulu-Natal premier candidate says the party still believes that it will attract the support it needs to win the upcoming May 8th elections. Velenkosini Hlabisa was speaking during the party’s election campaign in Osizweni in Newcastle this weekend. Hlabisa is the nominated candidate expected to lead the IFP when Prince Mangosuthu Buthelezi steps down. Fifty three-year-old Hlabisa has been a member of the party for 40 years and has led in all party structures. 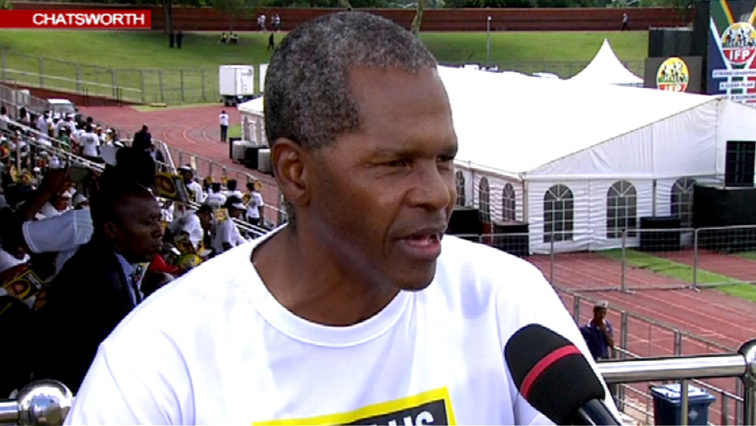 Prince Buthelezi has often described Hlabisa as a leader of integrity, who has served the party with distinction. With the elections fast approaching political parties continue to rally for support in various parts of the country. KwaZulu-Natal remains a stronghold of the party, especially in rural areas. Hlabisa denounced the high level of poverty and the lack of service delivery in the area. The party is hoping to improve on its 2016 election performance. Residents say unemployment and crime are their main concerns. Eight members of one family live in this informal dwelling and they’ve just fell victim to serious crime. One of the family members says her sister was allegedly raped on Friday night, while walking home. They now live in fear. Hlabisa also condemned violence against women and children and called for hefty sentences for perpetrators.